The ProMax Inventory module makes it easy for auto dealers to professionally and accurately manage, analyze, optimize, and market your inventory and related expenses. It contains everything you need, no matter the number of vehicles you sell. 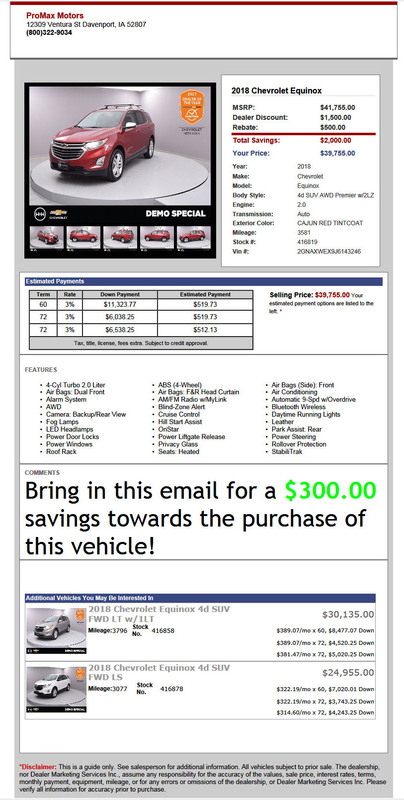 Automatically send inventory to your third party sites such as AutoTrader, Cars.com, etc.